Travel through twelve of the most-visited national parks in North America with the Ramble family! 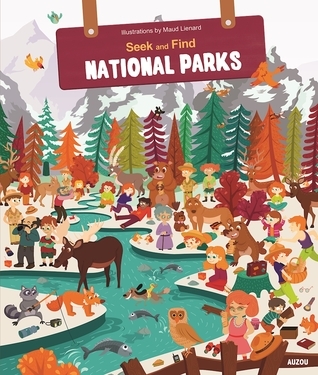 From the geysers of Yellowstone to the desert of Death Valley, children will search for hours to find the twenty hidden elements in these very detailed illustrations. An original way for kids to develop their powers of observation while having fun!